Knick-knack filled update of a traditional pub with a menu of modern British and European food. A welcome port in the Kings Road storm, the friendly mix of locals and visitors makes a restorative pint and a nibble here and there is a relaxing pleasure before once again venturing out into the whirl of boutiques and emporia. 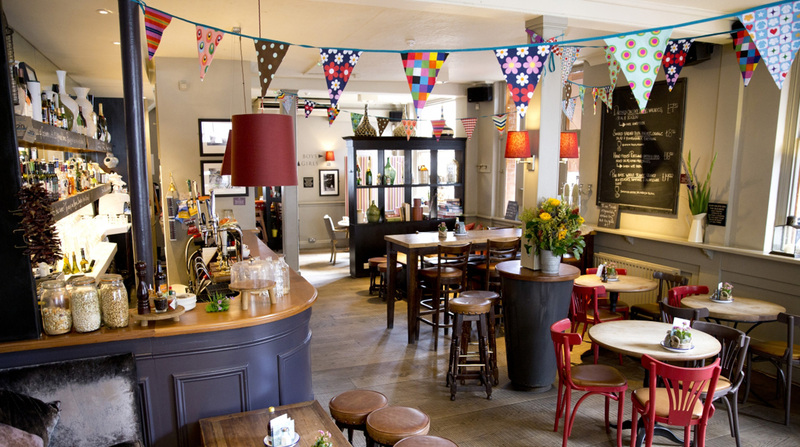 Situated just south of the trendy Kings Road on Smith Street, The Phoenix is the perfect pub for regulars and newcomers alike. Offering a mix of modern and traditional British food, this pub is equally busy at lunch or dinner, with our Head Chef Stan providing a menu that regularly changes to keep you foodies on your toes. For the dedicated drinkers amongst you we have selection of British cask ales on the pumps, slightly quirky continental beers, all the ingredients to make a killer Bloody Mary and a good long wine list selected by John Clevely, our very own Master of Wine and not forgetting Offering terraced outdoor seating, it’s perfect for soaking up summer rays, and a warm and cosy atmosphere indoors makes it ideal for escaping from the cold winter months.